Sunday 14th July; 1.00 pm till 5.00 pm, The Arcola Theatre, Ashwin Street. Local groups including Hackney Planning Watch, Dalston Conservation Area Advisory Committee, Open Dalston, Rio Cross, Ritson Road Residents, Sustainable Hackney, and Hackney Cyclists will outline their suggestions to better control future development leading to a general discussion on what we’d like to change. Cllr Stops will close the meeting by saying how groups should work to achieve the changes they seek. Every evening a guided walk will start every evening from the CLR James Library at 6.30 pm to foster debate about planning and regeneration issues of a variety of themes and will end in a cafe or bar to agree key actions required. Each night these ideas will be written up and submitted to the Chair of Planning and Cabinet Member for Regeneration. Late arrivals should phone Peter Snell on 079 4117 9129 to find out where we’ve got to. Monday 15th, Respecting our heritage (Dalston Conservation Area Advisory Committee). Ray Blackburn will talk us through the history and merit of buildings we take for granted, the recent Design for London Dalston Heritage Scoping Report and the work of the CAAC to protect that heritage and implement its recommendations. 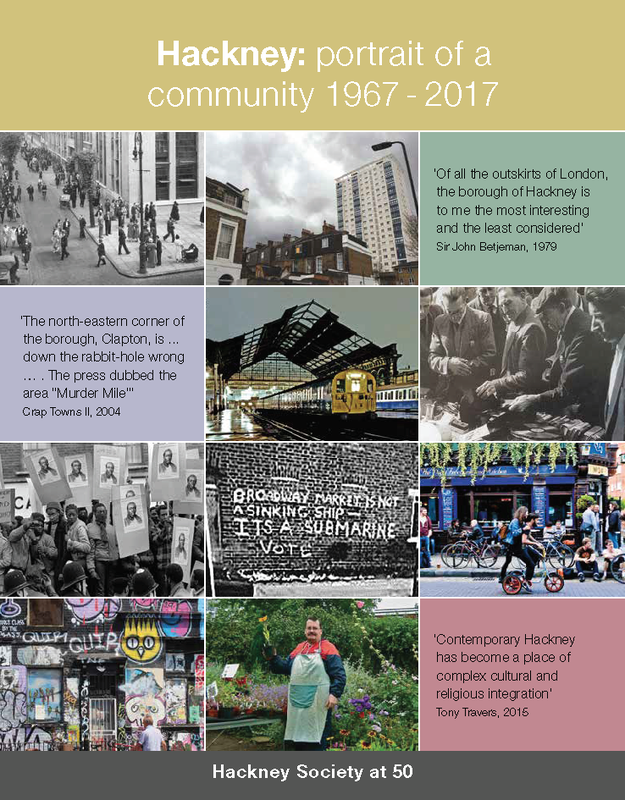 How can we protect our history and keep Dalston unique? Russell Miller will take us to green initiatives such as the eastern curve garden and community gardens on the Rhodes Estate counteract the loss of green corridors elsewhere. Transport campaigners will recall how plans for an urban motorway blighted Dalston Lane and the successes achieved by local campaigners for a more sustainable transport system..
What are the biggest threats to our environment and how can we stop them? Feimatta Conteh (Arcola) will lead us around sites associated with Dalston’s cultural history, and, when we visit the Arcola will explain what the Council promises to achieve by designating a Dalston Cultural Quarter. Dan Beaumont, (Dalston Superstore) will then lead us to meet the owners of three very different Dalston venues to understand what they offer. At his own venue he will explain how Evening Economy Forum is working to quantify the benefits and work more closely with neighbours. How can Dalston develop the arts, widen their appeal and minimise nuisance? Dominic Ellison (HCD) and Sara Turnbull (Bootstrap) will guide us around Dalston “not for profit” shared and co-operative work spaces. Both have a waiting list of tenants and can explain just what premises Dalston’s budding entrepreneurs need to develop local business and local jobs in new commercial developments. How can Council owned sites and new developments create a vibrant daytime economy? Developing a sustainable local economy Cllr. Guy Nicholson, LBH, Cabinet Member for Regeneration Cory Defoe, LBH Dalston Town Centre Manager will discuss how the priorities identified during the week are addressed in current regeneration plans for Dalston. Is there scope for something like the Morning Lane fashion hub to promote local business? Can we do more to ensure new commercial space is appropriate to local need? For more details contact petersnell@fassettsquare.org.uk or on 079 4117 9129. This page was added on 17/07/2013.